Lack of adequate drainage, narrow road cross section and right of way width have long been significant challenges to reconstruction of this busy roadway. 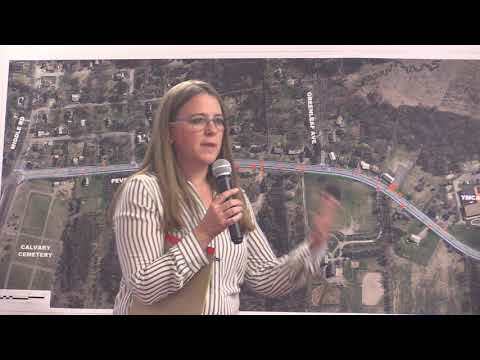 The City has obtained a State/Federal grant to help fund improvements that will link the Middle Road/Portsmouth Plains area to the Route 1 corridor. The State funding for the project comes from the Federal Congestion Management and Air Quality program. The funding requires that the project be separated into distinct phases of Engineering/Conceptual Design, Preliminary Design, Final Design, and Construction. State and Federal review and approval of each phase of the project is required before the City can receive additional funding to proceed on to the next phase of the project. Based on public comments and feedback during the Conceptual Design stage, the preferred alternative will provide a shared-use (bicycle and pedestrian) path on the south side of the roadway, and a sidewalk along the north side of the road.